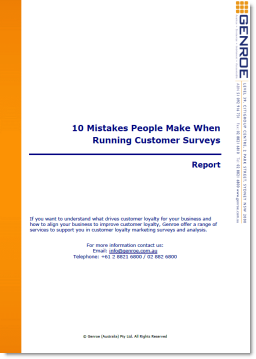 Does Customer Service Equals Customer Retention? Good customer service drives good business. I discovered that Liz was not only one of the top performing travel agents for Flight Centre in Australia but also in the top five in the world. Her excellent customer service doesn’t just make her customers feel better, it makes them spend more and return regularly. Her background includes working for many years in a bank, studying and practising accounting, being an international tour guide and developing tours based on a travel idea. What’s more she believes that her diverse working life has resulted in her accumulating a broad range of skills to be a great travel agent. The thing that struck me so powerfully is that Liz practices all the elements of good customer retention processes and does it almost unconsciously in everything that she does. Let me show you a few examples, starting when a potential customer first walks into the store. Firstly, Liz tries to qualify the customer’s travel idea. In other words she identifies the customer’s need. Then she relates a personal experience to the customer’s place of interest to get the customer excited about wanting to travel eg. “In New York my favourite place to visit is ……”. It is highly likely that in her extensive travels she has already visited the place. The next aspect of her approach is to ask questions that develop a personal rapport with the customer, but also help her to identify if there is anything else the customer might need. For example, “are you visiting family?” If the customer says no then there is high potential that the customer will need hotel accommodation, car hire or tour bus packages. In marketing speak we’d say Liz was investigating cross sell and upsell opportunities to increase the size of the total sale. You could also term this Product Bundling – something that many companies struggle with but which can substantially increase sales. Another of her methods is to use the optimum communication channel based on both the customer’s expressed desire and value. Meaning that customers who have a history of purchases are invited to sit in the office with her to make their bookings. Customer’s who want to make smaller and less complex arrangements are encouraged to use the phone or email. She also optimises delivery to the customer’s need by providing a range of travel options with competitive price alternatives appropriate for the customer such as suggesting a global fare as this could be cheaper to get to the same destinations. If the customer wants to shop around with her competitors, she encourages the customer to commit with a deposit and explains that they can transfer their deposit to any other trip within twelve months. Mentally this provides the customer with a money back guarantee but at the same time they have made a commitment to the work that Liz has done. Even though Liz is notionally in Customer Service she recognises and is proud of the fact that she sells. This comes across in her business philosophy, as she says “I want to sell how I like to be sold to and have fun while I am doing it”. And so adapts the way she communicates with each of her customers. She says that another critical element to servicing customers well is providing responsive, timely after sales support such as answering messages promptly and keeping customers informed with quotes. Liz consistently exceeds her customer’s expectations with the result that customers just keep coming back for more. It’s a pleasure to meet someone with direct customer contact who understands how to deliver real value to both their employer and customer. The author holds no interests in Flight Centre shares – but he is very interested in excellent service, wherever he finds it! What’s your Customer Retention secret? Let us know by dropping a comment below!